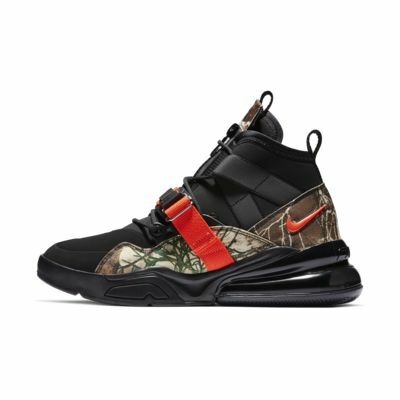 Make your mark on the street in the audacious Nike Air Force 270 Utility Realtree®. Crafted to conquer seasonal villains like the cold and rain, it features water- and abrasion-resistant materials on its mid-height upper. As bold as it is functional, it has a heavy-gauge zippered tongue and magnetic buckle closure for easy entry. Textile, synthetic and leather upper gives comfortable support. Nike&apos;s largest heel unit to date, the 270 Air unit gives bouncy cushioning. Mid-height bootie stretches for a snug, sock-like fit. A drawcord attaches to the heel pull tab and the top of the heavy-gauge zipper on the tongue so you can easily and quickly unzip the shoe. A buckle secures the strap, which slides open easily so you can buckle and unbuckle it with 1 hand. Have your say. 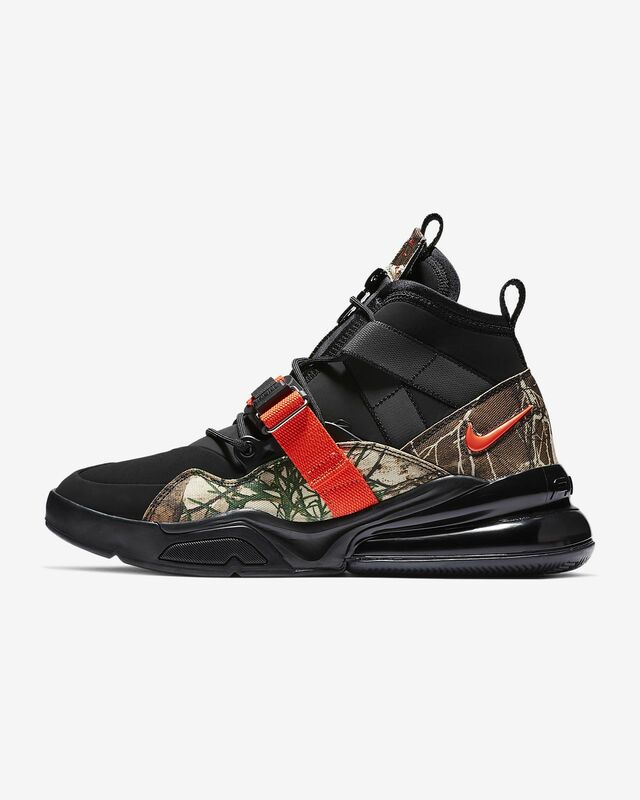 Be the first to review the Nike Air Force 270 Utility Realtree®.